Semi-Oceanfront-Nags Head. Beautifully Furnished & Decorated this Home Offers all the Amenities Necessary to Complete your Vacation Experience. Spacious & Very Well Appointed, you will have 4 Master Suites, 30 x 15 Private Swimming Pool, Hot Tub, Rec. Room w/Pool Table, Great Ocean Views, & Easy Beach Access Across Beach Road (approx. 450 Ft. to Small St. Beach Access). Convenient to Area Dining, Shopping, Amusements, & Site-Seeing Attractions. Ground Level: Parking for 4 Cars, Entry to Home, Rec. Room w/Pool Table, Queen Futon, Wet Bar w/Full Size Refrigerator, X-Box One, Half Bath, Master Suite w/King, TV, & Full Bath, Access to Pool Patio Area w/Hot Tub, 30 x 15 Private Swimming Pool, Enclosed Outside Shower, & Weber Charcoal Grill. Mid Level: 4 Bedrooms (2 Master Suites w/Kings, TVs, & Full Baths, 1 w/2 Bunk Sets & TV, & 1 w/2 Singles & TV), Shared Full Bath, & 2 Covered Decks. 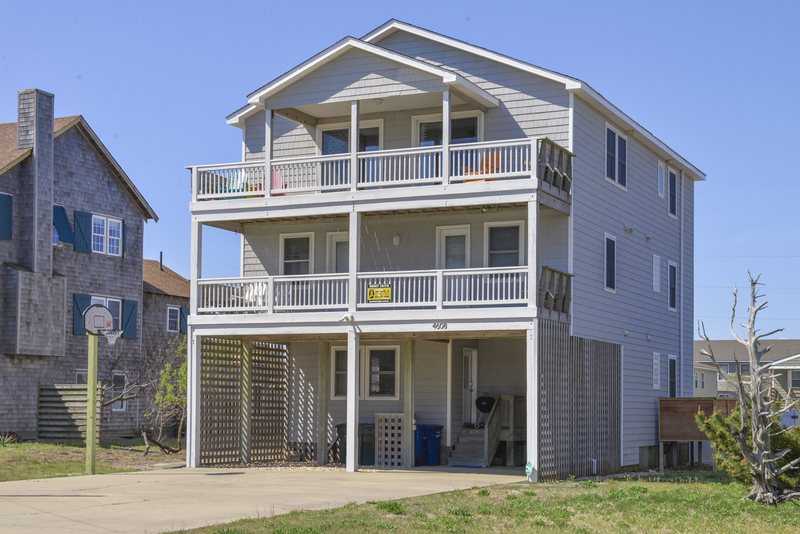 Top Level: Living/Dining/Kitchen Area, Half Bath, Master Suite w/King, TV, & Full Bath, Screen Porch, Covered Deck, & Sun Deck. 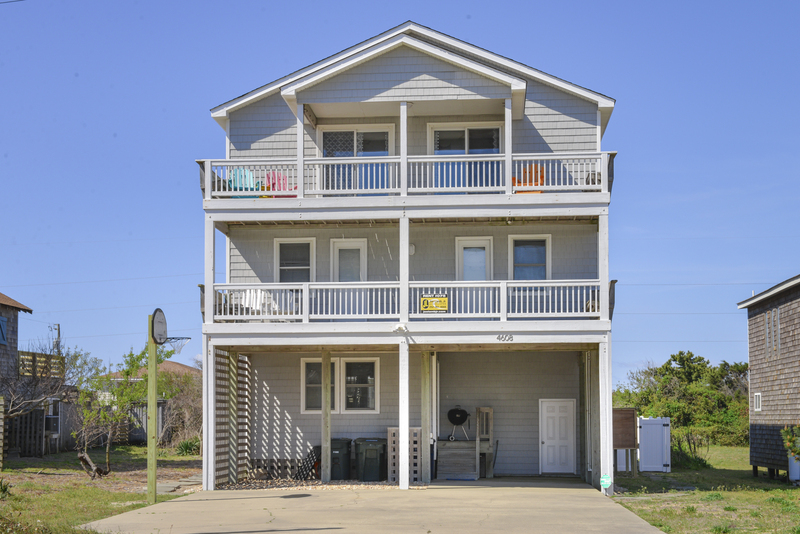 Features include: C/AC & Heat, Washer/Dryer, Dishwasher, Microwave, 2 Full Size Refrigerators, Phone, 8 Flat Screen TVs, Blu-Ray/DVDs, Wireless Internet, Baby Equipment (High Chair, Port-A-Crib, & Booster), & Deck & Pool Furniture. No Pets. This is a Non-Smoking Unit. Nice equipped well. The pool was great as was the hot tub. Roomy enough for our big family! House is beautiful. Well equipped and very comfortable. Enjoyed all the seating around the pool and the decor was awesome. Wonderful home for big families. 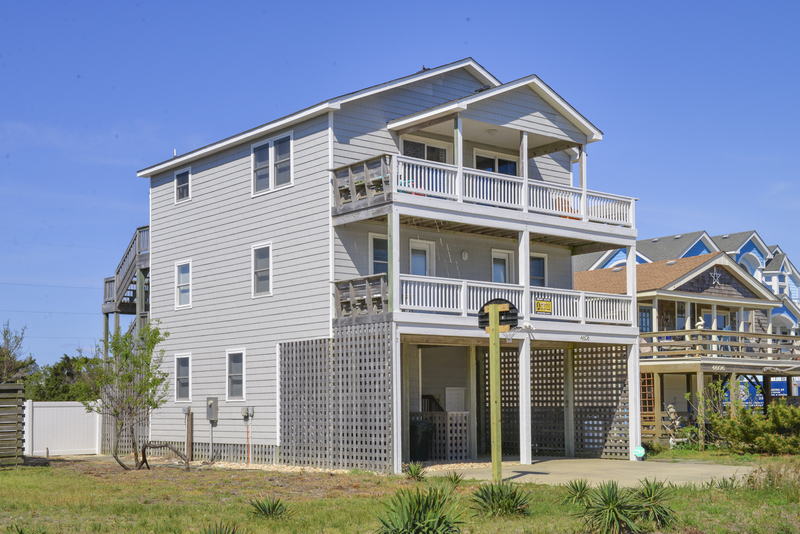 Great proximity to the beach and beautiful ocean view. Large table was great! Had a wonderful week, weather was great. The house was just the right size for our family, plenty of separation for everyone. And it was great to have all the bathrooms. Beautiful! Perfect for a family stay. Love the large dining table- everyone was able to eat together! It is a lovely home and met our family's needs.